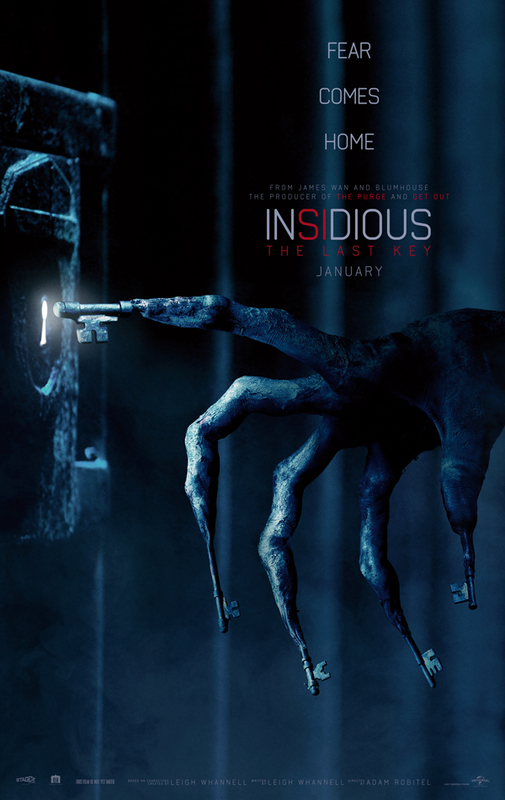 The new trailer for "INSIDIOUS: THE LAST KEY"
The creative minds behind the hit Insidious trilogy return for "Insidious: The Last Key." Sony Pictures Worldwide Acquisitions (“SPWA”) produced and financed "Insidious: The Last Key." From James Wan and Blumhouse, the producer of "THE PURGE" and "GET OUT," "Insidious: The Last Key" arrives in theaters January 5, 2018.